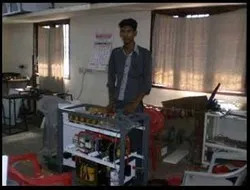 Manufacturing and Trading of Power Inverters and UPS Systems. 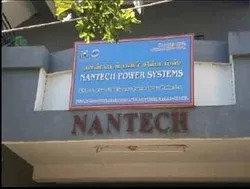 Established in the year 1996, our organization, ‘Nantech Power Systems’, is one of the leading manufacturers, traders, service provider, distributors and suppliers of Online UPS, Line Interactive UPS Inverters, Servo Stabilizers, Power Factor Controllers and others. We are an ISO 9001:2008 Certified Company. Our whole range of products is widely applauded by our customers for having features like compact design, sturdy construction, low maintenance, easy installation and enduring service life. We also provide quality services to our customers. We are looking for inquiries from South India region including Andhra Pradesh, Karnataka, Kerala and Tamil Nadu and cities like Bangalore, Chennai and Hyderabad. We are assisted by a very strict team of quality controllers which check the whole process of manufacturing of our products. 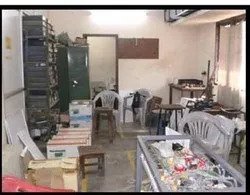 We have the facilities for quality testing the products based on different parameters like efficiency and performance level. 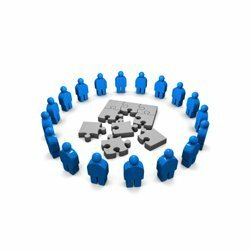 Our organization is also boasts of the robust and state-of-the-art infrastructure spread over large area. Our company has earned a good name in industry as a dedicated and professionally managed marketing organization.Our commitment to quality, reliability and durability extends throughout our entire business operation. We successfully carry out all types of works to the highest possible standards within demanding time scales. we also render prompt after sales services for installation and maintenance on the clients’ site for minimizing the breakdowns. Our MTTR will be 6 hours maximum. We have the facilities for quality testing the products based on different parameters like efficiency and performance level. We offer easy payment modes and hassle-free transactions for added convenience of our clients. Under the profound guidance of our highly esteemed mentor, "Mr. Wesley Selvaraj J. ", we have been able to carve a niche for ourselves in the competitive industry. 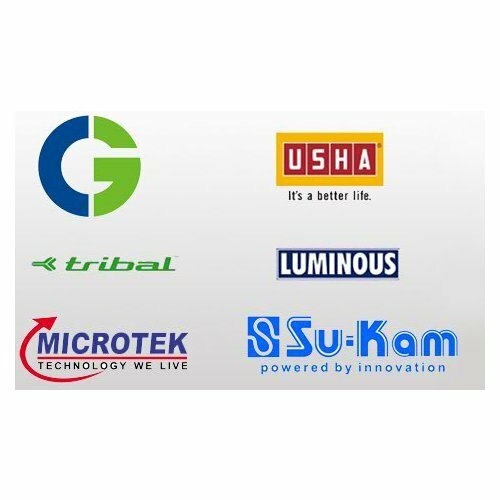 We are one of the reputed company engaged in manufacturing, trading and supplying a comprehensive range of Online UPS, Line Interactive UPS, Inverters, Servo Stabilizers, Power Factor Controllers and many more. 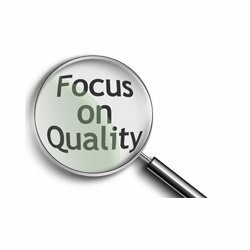 In order to maintain consistency in the product and service quality, we have adopted a strategic measure for quality control in all our processes. We are an ISO 9001:2008 Certified Company. We have well defined and stringent quality checks at each stage of production to ensure that every product that reaches the market speaks eloquently about the premium quality. Our quality controllers utilize high end testing tools and equipment in order to test the products at various level of production. Random product samples are taken from different production stages to test their quality. To provide total optimal power quality and energy management solutions. Our products are of great quality that helps in providing high level of satisfaction to our valuable customers. We not only deliver quality products, but also ensure reasonable prices and timeliness for the product deliveries and after sales services that helps in enhancing customer satisfaction. We are assisted by a team of experienced team of professionals which work hard to optimize the satisfaction level of our customers. Our employees include highly qualified personnel including the engineers and researchers, who belong to different fields and areas of work. These professionals deliver us their valuable experience in catering to the varied requirements placed by the clients. 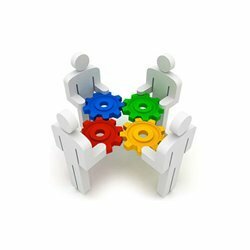 Our professionals work as a cohesive unit and ensure that all the projects are timely completed. We believe in providing customer satisfaction through our high quality products. 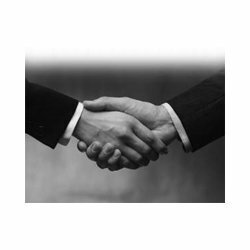 Following attributes help us in attaining greater satisfaction for the clients and further establishing an unwavering bond of fruitful relations. We provide quality after sales services to our customers. The services are provided to our customers at most reasonable rates. We offer the services on time to our customers. We have our service centres at Madurai, Trichy, Tirunelveli, Pondycherry, Coimbatore and Bangalore.